This is an introductory class to cookie decorating using royal icing. 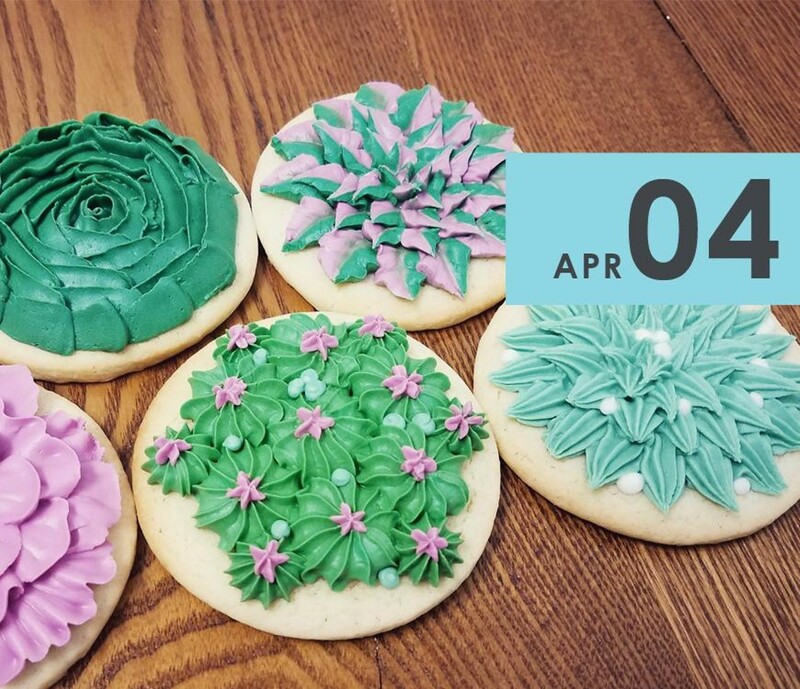 You will learn how to use professional techniques to create beautifully designed cookies, made to look like little succulents. Each student will bring home 12 of their own uniquely decorated cookies.